Clothing: Informal. shoes, bathing suit, sun lotion, and towel . Informal clothing. Shoes, bathing suit, sunlotion and towel. 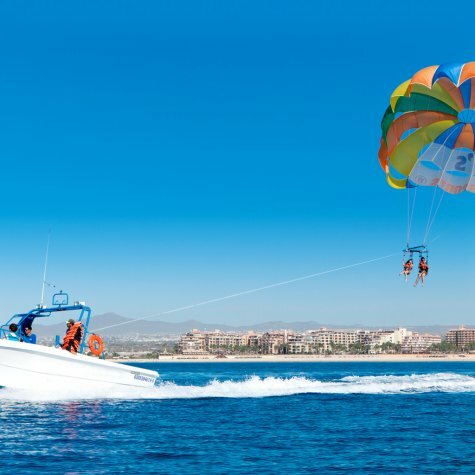 Parasailing is an unforgettable experience that will allow you to fly in parachute from the sea of the coast of Gran Canaria and enjoy a magical view of the south of the island from another perspective totally different from the usual one with the maximum Security. 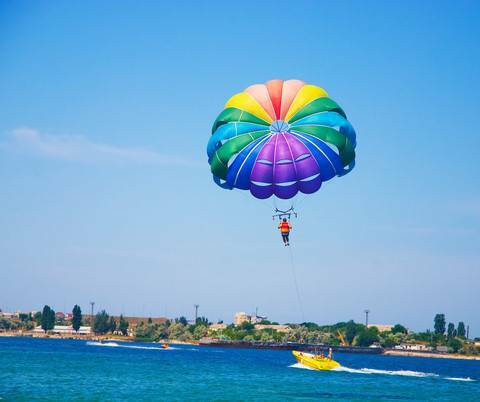 If you are in Gran Canaria and you like strong emotions this is without any doubt one of the activities that will make you enjoy to full extent and at the same time have a beautiful view of the south coast of Gran Canaria. 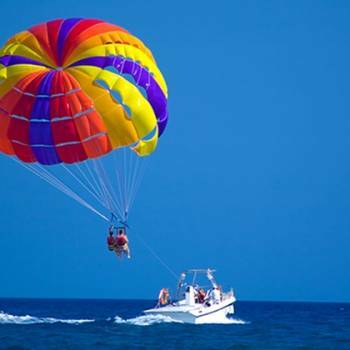 If you are in Gran Canaria south, we encourage you to try it, you won't regret it. 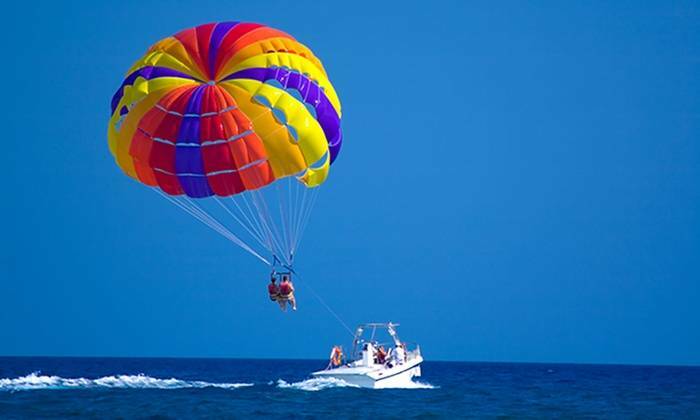 Located between the beaches of Arguineguín and Anfi, a place that is storm sheltered, it is the perfect location for parasailing. 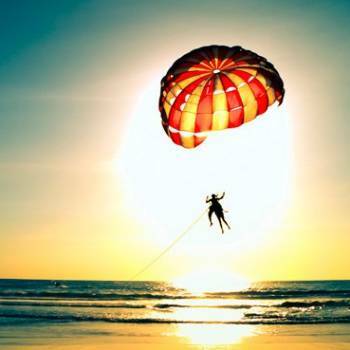 Enjoy for 10 minutes of pure adrenaline that you will definitely want to repeat. A zodiac, will take you to the meeting point where you start the activity and begin an indelible memory of your visit to Gran Canaria. The Guide/companion will give you some guidelines before you begin so that all the activity is developed with normality and total security. To book a tour it will be sufficient to complete our booking form and make the payment by means of one of the payment methods available on our website. 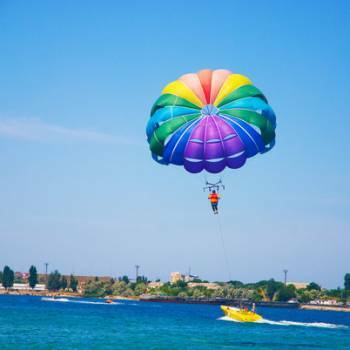 Why to book this tour? 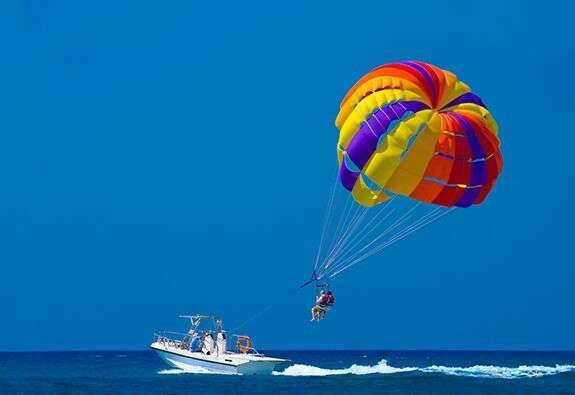 Do not miss this amazing activity in the idyllic environment of Gran Canaria 365 days a year. Booking finished, and now what? You’ll receive an acknowledgment of your booking by email. Print your acknowledgment or keep it in your cell phone. Show your acknowledgment while doing excursion/activity. 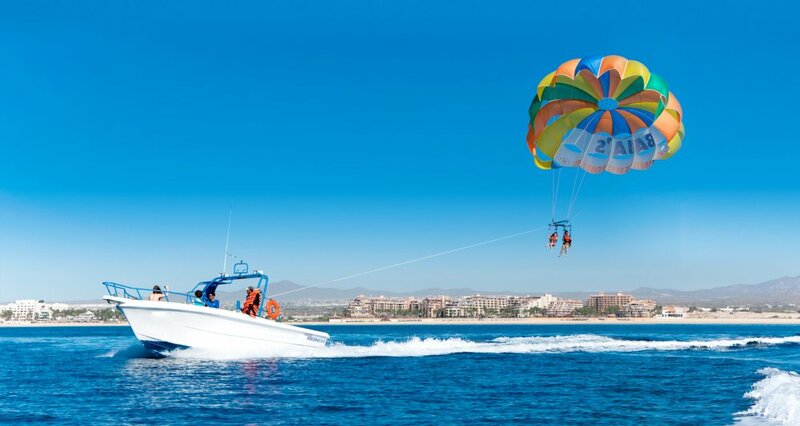 "Offer you the best excursions in Gran Canaria"
Hope to see you soon with us. Enjoy your holidays. Gran Canaria Biosphere Reserve, destination for families who love the beach and / or mountain walkers and surfers. Copyright © 2019 LOW COST Tours Gran Canaria / I - 0002036.1 / WebDesign By AtlanTIC Systems.